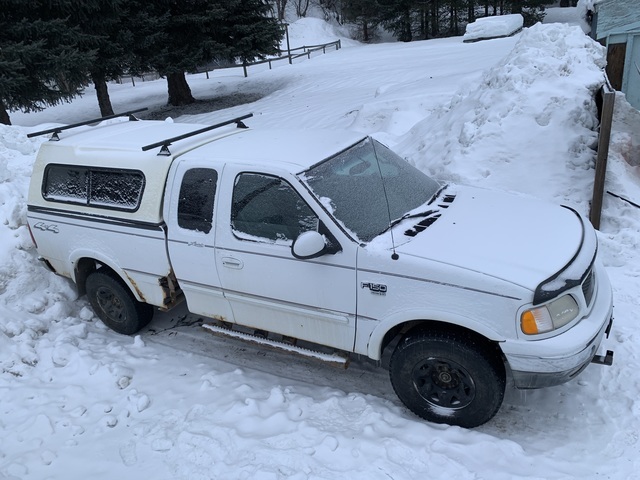 2001 f150 , extcab 4x4. Lariat. 5.4 auto. All works well, exhaust manifolds leak, box is rusty, 309,000 km. Fresh oil change, spark plugs ,coil, rear brakes, and tie rod.